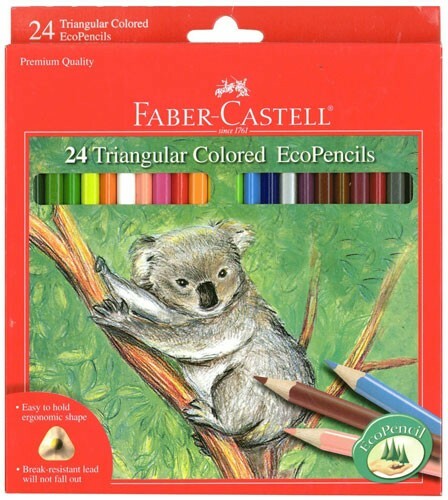 This set of 24 colored ecopencils from Faber-Castell let you use all the colors while still staying green! The triangular shape gives better control and does not roll off a desk. 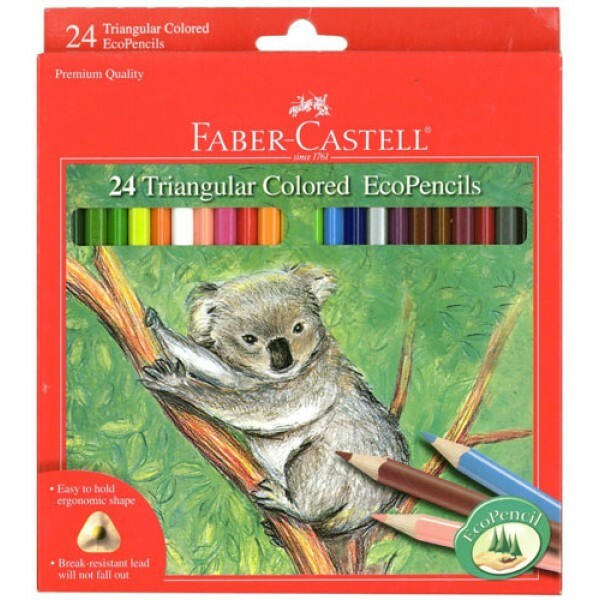 With extra pigment in each pencil, the colors are richer and more vivid. Best of all, the break-resistant leads won't fall out!